Magori has been working for KMFRI as a Research Scientist for 23 years. His area of specialization is on coastal oceanography and shallow water dynamics with special emphasis on numerical modelling of processes. Magori is the Global Sea Level Observing System (GLOSS) Regional Coordinator for Western Indian Ocean (WIO) region and a member of GLOSS Group of Experts. He assisted in drafting the sea level component of GOOS-AFRICA project proposal that aimed to establish a Regional Ocean Observing and Forecasting System for Africa (ROOFS-AFRICA). He was also Cruise Coordinator for Kenya in the GEF-funded Agulhas and Somali Current Large Marine Ecosystem (ASCLME) project whose implementing agency is UNDP. 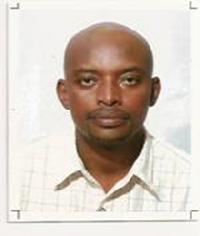 He has been one of the lead scientists in two regional research projects on “Resilience and Adaptation of Mangroves and Dependent Communities in the WIO Region to the Impacts of Climate Change” and “Shoreline Changes in Kenya and Tanzania, their Socio Economic Impacts and Mitigation Options”. Both projects were funded by Marine Science for Management (MASMA) grant of Western Indian Ocean Marine Science Association (WIOMSA). Magori has also been actively involved in consultations for the establishment of national multi-hazard warning system for Kenya that will ultimately form part of the Indian Ocean Tsunami Early Warning System (IOTWS). He is a member of Indian Ocean Panel (IOP). He has published several papers in peer reviewed journals. Shaghudhe Y., Mburu W., Arthurton R., Dubi A., Gachuiri S., Magori C., Kangwe J., Msuya F., Mwaipopo R., Nyandwi N., Ochiewo J., Ong'anda H., Mtui R., Sanga I., Shalli M., & Uku J. (2015): Shoreline Change in Tanzania and Kenya: Manual for Assessment and Design of Mitigation Strategies. WIOMSA Book Series No. 16. Zanzibar: WIOMSA xii + 85. 2015. Magori C. (2015): Characterization of Estuarine Flow by Means of Time Series Cross-Correlation and Cross-Spectrum Analysis: A Case Study of Mtwapa Creek, Kenya. International Research Journal of Geology and Mining. Vol. 5(3), IRJGM, (2276-6618). W. Shaghude, J. W. Mburu, J.Uku, N. Nyandwi, C. Magori, J. Ochiewo, I. Sanga, R.S. Arthurton (2013): Beach Sand Supply and Transport at Kunduchi in Tanzania and Bamburi in Kenya. Western Indian Ocean J. Mar. Sci. Vol. 11. No. 2, pp. 135-154. Aman A., Elisee Toualy, & Magori C.(2012): Physical Coastal Oceanography in GCLME Region, Efforts and Progress in Coastal Observing System Along West African Coasts. LAP Lambert Academic Publishing, ISBN: 978-3-659-24072-0. 72pp. Aman A. and Magori C. (2009): Is the Sea Level Rising? UNESCO –IOC 2009 African Oceans and Coasts, Edited by Odido M. And Mazzilli S (Eds). IOC Information Document, 1255, UNESCO Regional Bureau for Science and Technology in Africa, Kenya. Book Chapter 4. pp 25-34. Magori C. (2004): Hydrodynamic Modeling of a Mangrove-Fringed Estuary, Mtwapa Creek, Kenya. D. Thesis, Free University of Brussels, Belgium. 191 pp. Aarup T., Adekoya A., Aman. A., Brundrit G., Magori C. and Woodworth P. (2002): Position Paper on the Status of GLOSS in Africa. Intergovernmental Oceanographic Commission of UNESCO. IOC/INF-1165.